Hunt was considered a defensive specialist out of high school, but has worked hard to change that label placed on him. He drives the ball well from the right side of the plate and has shown a great eye. Defensively, he is very highly regarded. Hunt has quick feet and a plus arm. The young backstop communicates well with his pitchers and shows great intangibles for the game. Hunt should climb the system in the coming years, as he has an excellent floor. 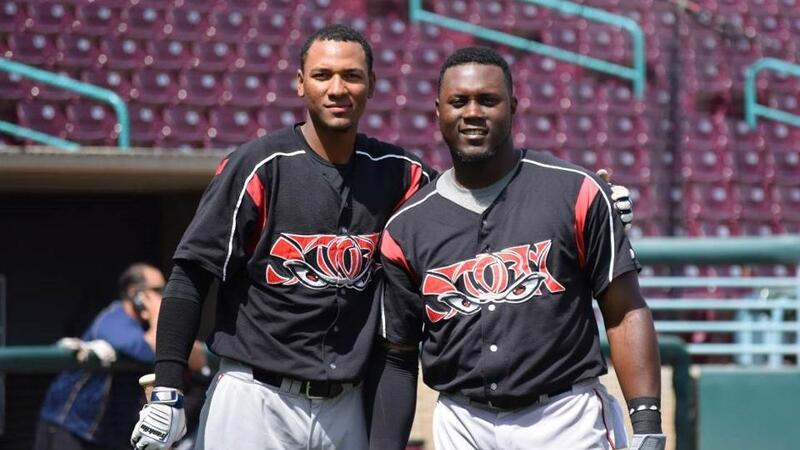 This Cuban outfielder has taken a small step back in production, but is still very young. Ona has battled nagging injuries in 2018 and that has been frustrating to him. 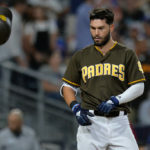 The Padres paid him $7-million dollars in the 2016 international spending spree and there was an immediate though that he would rise through the system swiftly. That does not appear to be the case as Ona has trouble making contact and has refused to walk either. To top it all off, power which was supposed to be his best tool, has been lacking. Ona may need time to develop, but he could explode once he figures it all out. I really enjoy this left-handed pitcher and the way he attacks hitters. He will not blow batters away, but does continually get strikeouts as he pounds the zone with each one of his pitches. He uses his curveball so effectively to batters, that it makes his low 90’s fastball seem quicker than it really is. 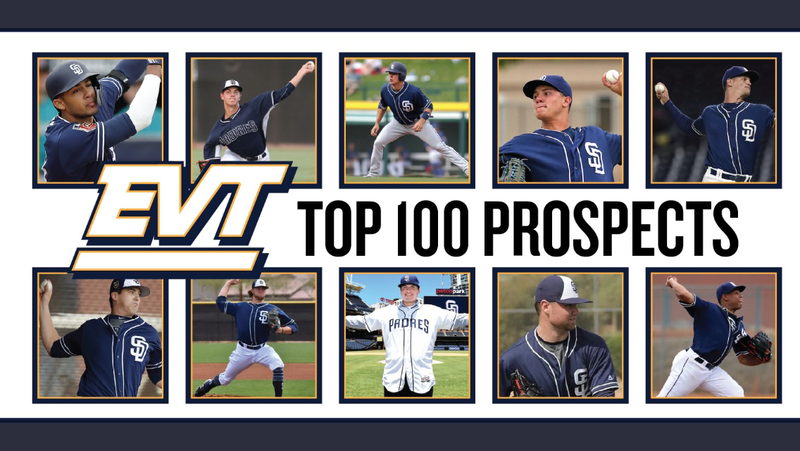 Margevicius changes eye angles on hitters with all his pitches and has shown a plus ability to recognize what a hitter is trying to do to him. 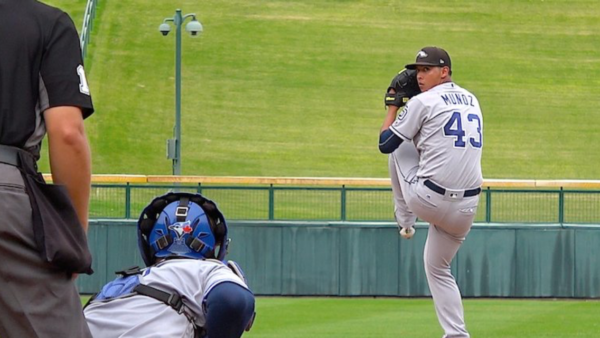 Presently in Lake Elsinore, he is roughly one year away from some major league service time. He will get there. It is just a matter of time. Dealt for Yangervis Solarte in the winter, there were hopes that this young man would be an fast-riser in 2018. 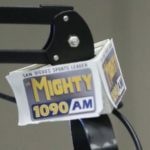 He has played well, but has not been tremendous with the bat in Lake Elsinore. 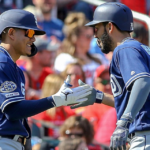 At 22, the Padres would probably like to see more from this right handed outfielder. He runs well and has played a quality center field for the Storm. The wiry outfielder provides excellent depth for the system, but it is yet to be seen what his future holds. Olivares could be a regular major league player, or he could never even reach the major leagues. It all depends on him. 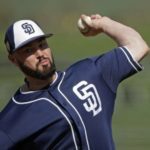 At 23 the clock is ticking and the Padres also need to protect him from the 2019 Rule-5 Draft. It is no secret that I really like this Dominican outfielder. He barely makes this list as his prospect status is almost gone. Franmil has arguably the best power in the minors and is armed with one of the best smiles in the league. He is a clubhouse wonder as the man goes out of his way to interact with teammates. At 6-foot-5 and 275 lbs, he is hard to ignore. 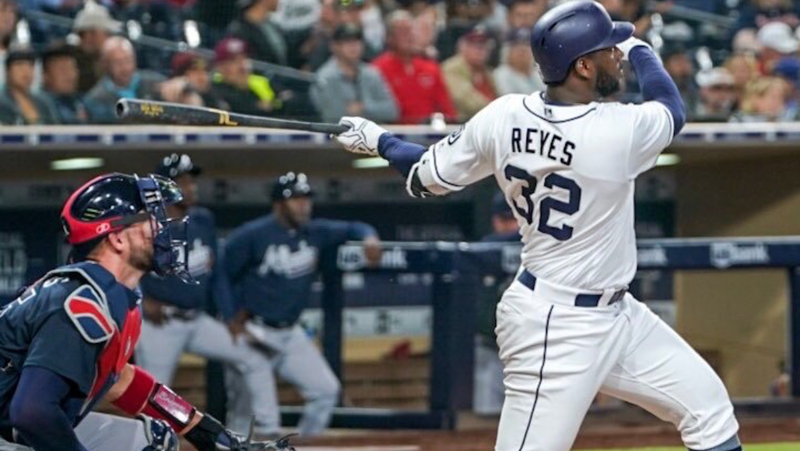 Reyes is not listed on many prospects list as he has a strikeout issue. The big strike zone is a factor, but he has grown every year as a hitter. 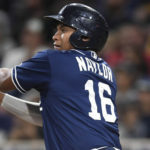 He will not be a perennial batting title winner, but he can very easily be a serviceable player as he is unafraid to take a walk and adjust at the plate. Defensively, he moves well (for his size) and has a plus arm. His bat is his strength though, not his defense. 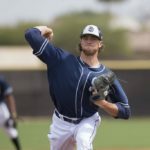 A changeup has taken Lawson’s game to the next level in 2018. He is armed with a mid 90’s heater and a decent curve, but the addition of this third pitch has made him a potential prospect of relevancy for this team. Lawson has great size (6-foot-4) and very clean mechanics. He should, at the very least, be a serviceable reliever in the upper minor leagues and beyond. If he can continue to use his changeup, then there is no reason to believe he cannot become a mid rotation type starter in the majors. He is a hard worker who enjoys challenging himself. There is upside with this arm. He has had defensive issues, but those appear to be a thing of the past. He will not be a Gold Glove winner, but you can no longer point to his defensive as a huge problem. Allen lost weight this off season and showed up in the spring ready to work hard. He has really progressed behind the plate. With the bat, the left-handed hitter is a smasher. He has an easy power and hits the ball really well to all fields. The Mejia acquisition complicates his future with the team at this point, but the backstop could be given an opportunity with the team very soon. 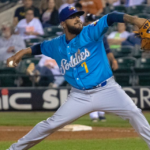 This fire balling right hander pitcher has started slow in 2018, but is now throwing well in Double-A. He made national news last winter as he hit 102 on the radar guns in the Arizona Fall League. Munoz’s fastball is amazing as he gets incredible movement on it as well as high-octane velocity. He has made strides with his hard slider. If he can throw that pitch for strikes, the Padres have a dominant closer for years to come. Expect to see him very soon despite his young age. 2018 has been a breakout year for this ultra athlete. He has plus speed and is unafraid to use it on the base paths. His switch-hitting stroke has improved greatly, as Reed now drives the ball with authority from both sides of the plate. The team would like to see him walk more, but they are certainly happy with his progression at the plate. Defensively, he shared time in center with Edward Olivares to star 2018, but is now in San Antonio with Michael Gettys. We will see who they use in center on most nights. Buddy Reed has an excellent arm and tracks the ball really well, so he could very easily be the number one option for the Missions. This teenage talent is very impressive. He in ambidextrous and does a standing back flip after every TinCaps’ win. The Dominican’ outfielder has a great eye at the plate and is unafraid to take a walk. He also has plus speed and should progress into a top of the order type of hitter. He has little power presently and part of that is his frame. He lacks muscle , but will probably develop that in time. Look for Rosario to stick in center as he is a very solid defender who gets excellent jumps on fly balls.